If only. I don't think I am the only aviation enthusiast that would have liked to see the Vampire take on the Me-262 in 1944/45. The aircraft was virtually ready to do so but a lot of 'dragging of feet' and dithering went on and I suspect a lot of it to do with allocation of Air Ministry money for rival firm's contracts. Britain seemed reluctant not only to see the Meteor enter service in time, but the Vampire followed. There was another reason. My opinion is that the British government didn't want to embarress the US by "stealing their thunder", so to speak. The US was left to finish the war with propeller driven fighters in the form of swarms of Mustangs and Thunderbolts shooting up anything that moved. In fact Geoffrey de Havilland Jr, the de Havilland chief test pilot and son of the company's founder, test flew prototype LZ548/G on its maiden flight in 20 September 1943. The flight took place only six months after the Meteor's maiden flight. The first Vampire flight had been delayed due to the need to send the sole remaining flight engine to Lockheed to replace one destroyed in ground engine runs in the prototype XP-80. 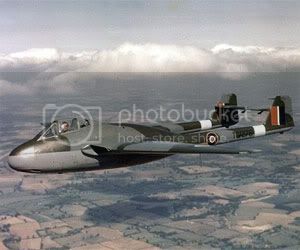 The production Vampire Mk I did not fly until April 1945, with most being built by English Electric Aircraft due to the pressures on de Havilland's production facilities which were busy with other types. Although eagerly taken into service by the RAF, it was still being developed at war's end, and consequently the Vampire never saw combat in the Second World War. I can see that the RAF would have tried to fight at high altitude where the Vampire had the advantage. The Me was faster in a dive but slower in a climb. I would expect the Vampire to outperform the Me-262. But giving it some thought of how the Me-262 was thought to be better than the Meteor/P-80, and looking at those performance figures they come real close. 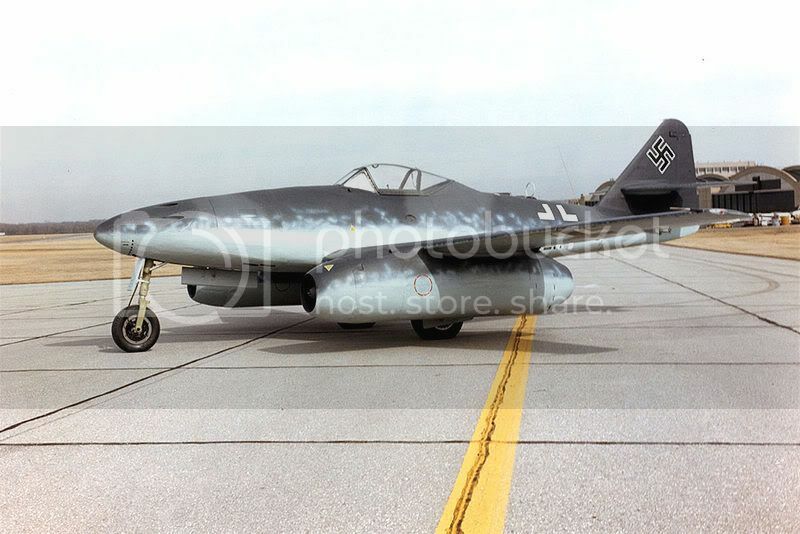 But that swept wing of the Me-262 seems to have done the trick, adding to that the Me-262 carried a heavier punch and was considered to be a good stable fun platform. But well Vampires kept flying, while all Me-262 look-alikes quickly disappeared. 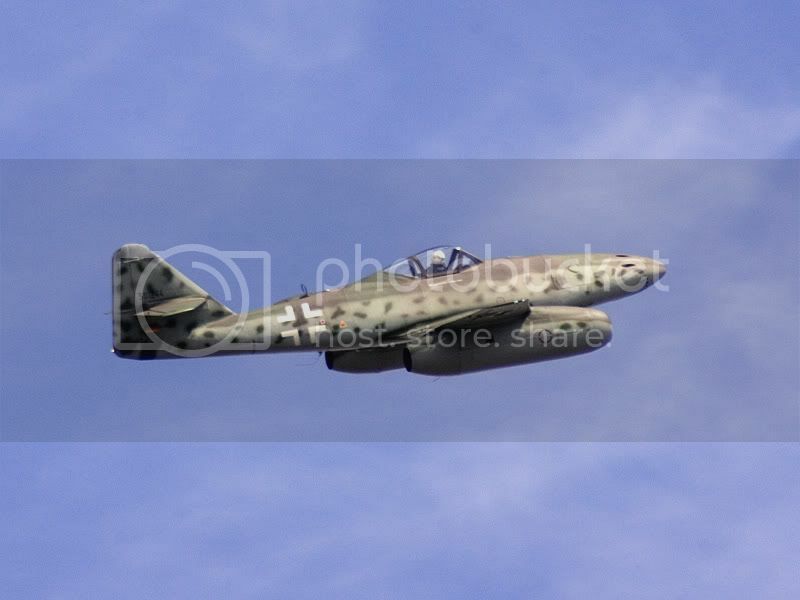 Was that just because of the Me-262 unsuitability for higher Mach numbers. Or did the Vampire had some other qualities over other early jets?